Not timing out a user while one is actively performing a task like browsing the store, making a purchase, or writing/submitting a post in the forums. Timeouts should only occur after a period of inactivity by the user. Setting a placeholder when a timeout occurs so that when one logs back in they are returned to the same location in the store of forums. It is getting really old having to deal with losing one's place when you are sent to your account page after clicking on the "Login" link. Were they going to make a Fastgrab RSS feed again, or a notification of what's there? Was there any plan to add a notify on Wishlist price change? I just want to ask, if the daily newsletter option nd the wishlist alert was meanwhile fixed? With daily newsletter option I mean, that I've got every day a newsletter with new releases, optional realeases from selected artists. I miss this option very much. You stay logged into the forums? I don't. It's a toss-up which one dumps me first, the store or the forums, but they both do, apparently at random. I used to stay logged in the store then dumped out of the forums. Now I'm continously logged into the forums and have to log back into the store every single time I visit. Yes once you have got the system worked out to stay logged in to the forums, you have to login to the store, as that still times out. THe old site was exactly the same, you always had to login to the store, because that is on the secure side of the planet. The secret to staying logged into the forums is to make sure that you log in to the forums first , benfore you login to the store. TO do this, when you time out next time in the forum, go to your account and logout there also. CHeck that you are truly looged out by visiting the store and check if you are logged out ther. Now go back to the forums and login again there. You should get a different style login screen, one with tick boxes under it about staying logged in. 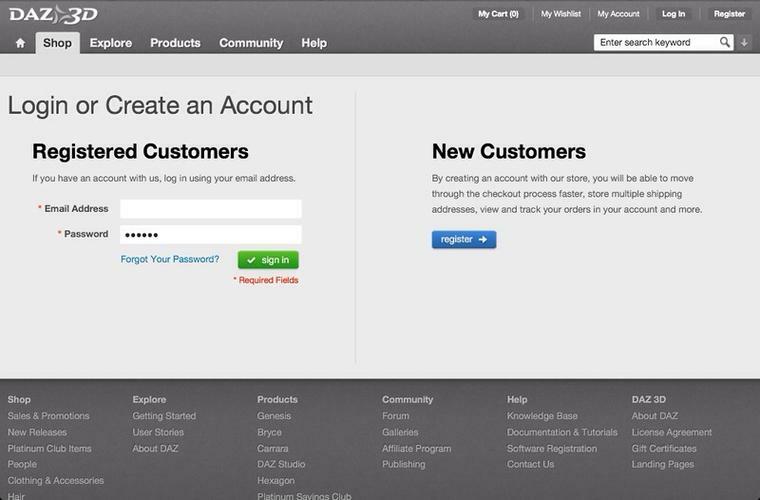 Tick both those boxes, and login using the exact same login details as if you were logging in to the store, so userneame is your email address and your store password,. "The first smart comment and I feed them to the Darkspawn." "You see! This is what I love about you." Exactly! I'm glad someone recognized the true difference! Besides me. The only time I had to log in before was when I tried to access my account. Or when the site was down for maintenance and then everyone had to log in again. Other than that, when I reboot my computer. Now, the store doesn't know who I am after not being in there for a while. However, I can add something to my cart. It just asks me to log in before it shows me the checkout. The way things have gone, maybe that's not the best situation. Log in first, then click on checkout is probably better. Now I have to spend even more time manually navigating back to the thread I was on (as all the ebot reminders I had for some reason decided to break all at once) and then try to remember what I was posting about in the first place as this latest episode pretty much derailed my train of thought. ...bloody ell, it's 23:30 and I have to be up for work. at 06:00. I give up. Okay now that the site seems to be fixed and the forum seems to be working on can we now get an answer to the problem of having no place that confirms for us the correct number and size of files for a product? Case in point, I just added to my cart and purchased for free the weekly freebie The Enchanted Island. When I get to the download page though I see there are two pc files there to download and 2 mac files. Okay no problem, I don't like it but I'm starting to get used to having to sort thru mac files and two of each type of file seems normal. Except this time it wasn't a Poser or DS file with a matching MetaData it was two copies of the same file with the same name. Now if the product page told me there should be just one file of 151MB instead of 2 I would know that for some reason the system is kicking out duplicate download links. Since I have nothing to tell me that though I have to sit and wait for someone to tell me that it should only be one or the other one was wrongly named that or I have to download both extract the contents and examine them both to try to figure it out on my own. Also there is the related issue of product updates which I've still yet to get an official acknowledgement that Daz recognizes this as a problem and is working on it. I have been a customer for about 10 years and have built up a collection of 3500 items I've purchased. Many of these items are gen 3 and gen 4 and as such have been upgraded but I don't know which files they are because Daz no longer sends notices like they used to. Daz no longer has a sub forum like they used to that told you what was updated and why. Now, without the file info I can't even figure it out for myself without having to download everything first and then comparing them to the files I have. A process which would be hugely inconvenient to me and would place an unnecessary burden on the server as I attempt to download over 3500 items (most with multiple files). I'm just completely at a loss why this file information is still missing. Surely it doesn't require some sort of complicated coding to put something like "1 file totalling 151MB" on the tab where you've put the texture templates or more appropriately on the tab titled additional information? Surely it's an oversight on Daz's part that they are unnecessarily complicating how customers manage their products that they've purchased? AFAIK the store sent out a glitch and you got duplicate files. Hey look at it this way, it's a good freebie, so good they gave it to you twice. Daz is aware of the problem, and the one with file sizes not shwoing. I have never seen this "different style login screen" that you are describing. Is there another way to force it to appear? Is it just me, or is the site kind of hosed, right now? The forum archive doesn't load at all, and none of the product images in the store will load. Fortunately, the non-archived forum is working better than ever! Well I actually happened on that screen when clicking on thread links on ebots, when completely logged out, so maybe it only appears that way. Even then I had to click on 2 or 3 and then close the tabs once I had read them, before the login screen came up. It is rather strange I have to admit. But since I logged in on that screen I have been premanently logged into the forums. As far as the forum archive is concerned, DAZ did something a couple of weeks ago that broke it worse than it was already. Ever since then, every forumarchive page takes 23 seconds before it loads. Clearly the server is waiting for something to time-out before it sends each page. I think the DAZ web programmers are oblivious to this problem. Thanks, that's all I wanted to know, that Daz is aware of the problem and will hopefully be looking into it. I only asked about it again because it was said somewhere at one point that Daz would not work on the forums until the store was squared away. Since Daz has been working on the forums of late I took that to mean in thier minds the store was fully fixed and yet nothing in the way of file sizes are to be found anywhere. I hope not, considering how many bits and pieces of the store are still in bits and pieces. There have been fixes and improvements since the changeover, but there's no way I would call this store "fully fixed". Not yet. While "fixing" the forums, they've broken them, too. has anyone else noticed that the text area and heading area boxes are not aligned on the right anymore? And text in the message area sometimes goes out of the box border. It didn't used to do that. In fact, the quote boxes also go outside of the message box on the right. Oh, my, so do any images attached!